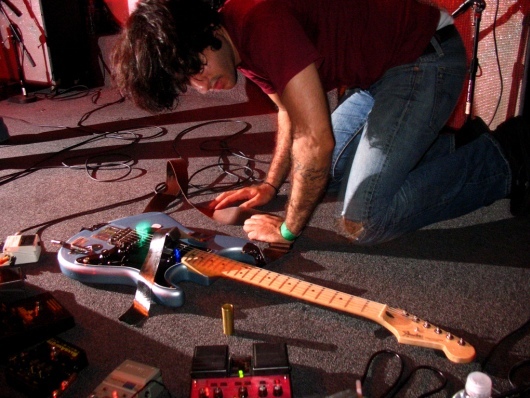 Just above his looper pedal is a slide. Based on the colour, It's a brass slide. Sitting on top of Barry's Orange head is a Fender brass slide. No reviews or videos yet for Fender Brass Slide 1. With an Equipboard account you can rate this item, add it to your collection, submit a review to discuss what you like and dislike about it, and associate Fender Brass Slide 1 to artists that use it. Create an account!